Arduino is an open source controller board, popular among electronic enthusiasts for making interactive projects. But for those who are not familiar with electronics, adding circuits to Arduino may be tricky. That’s why we develop this keyestudio XBEE sensor shield. 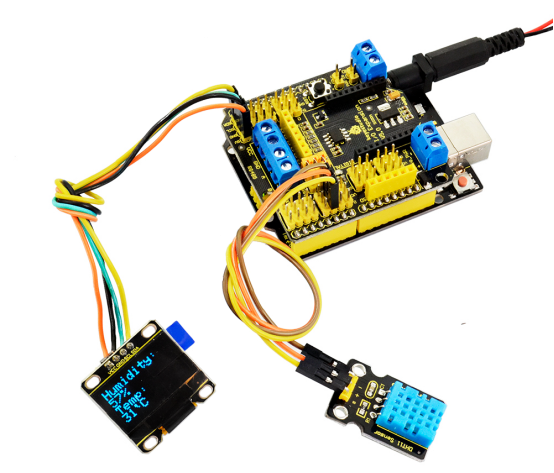 It can help you easily connect most sensor modules to Arduino. 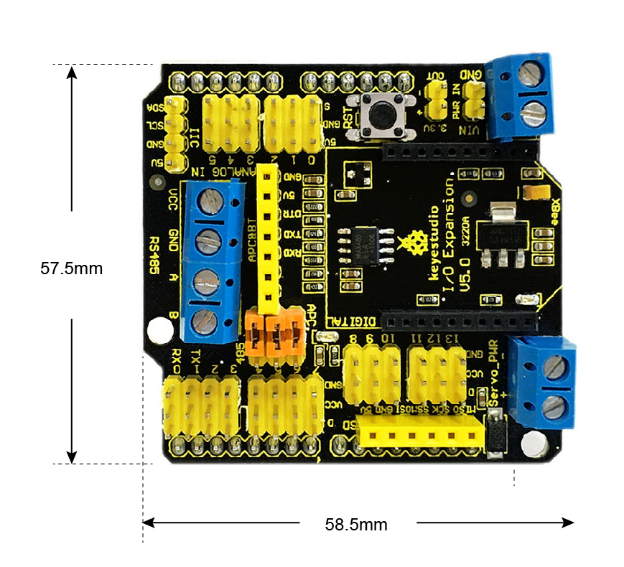 The shield extends the digital and analog interfaces into 3PIN interface, also comes with RS485 communication and XBEE Bluetooth module interface. You can change the communication way via the jumper cap on the shield. 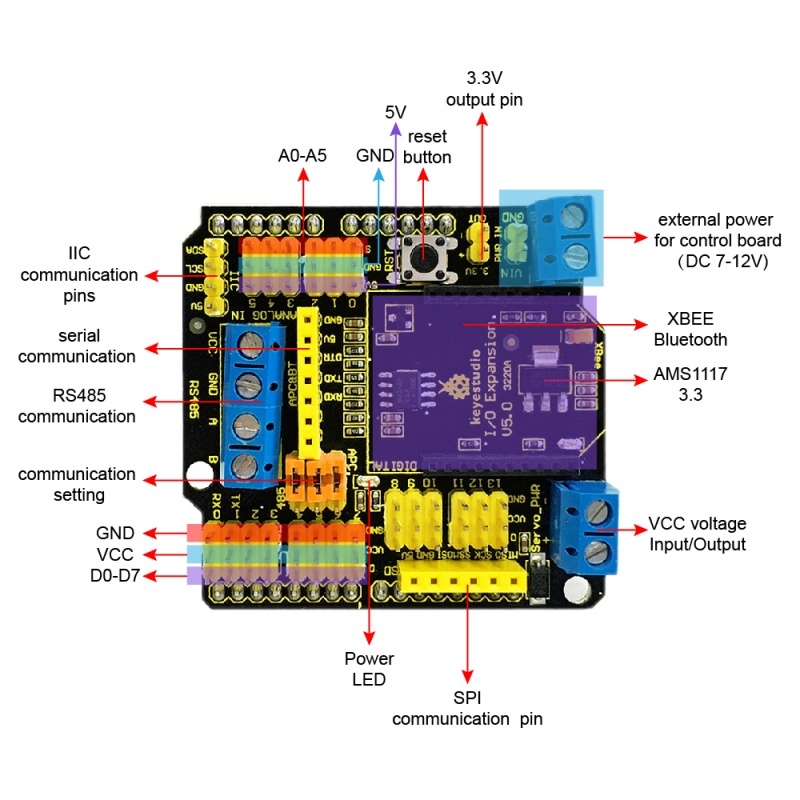 If all the three jumpers are connected to APC, the shield will realize the XBEE Bluetooth communication. If all jumpers are connected to 485, realize the RS485 communication function. Onboard also comes with a reset button, a D13 indicator and some common communication pins of 2.54mm pin pitch, such as serial port, IIC and SPI communication pins. Besides, it also has two 2pin terminal blocks. One is VIN GND terminal block, used to supply the external power for UNO R3 control board, with input voltage of DC 7-12V. The other is Servo_PWR terminal block, used for VCC voltage input/output. If not connecting the external voltage, supply 5V for the shield; if connecting the external voltage, VCC voltage is actually the external input voltage. 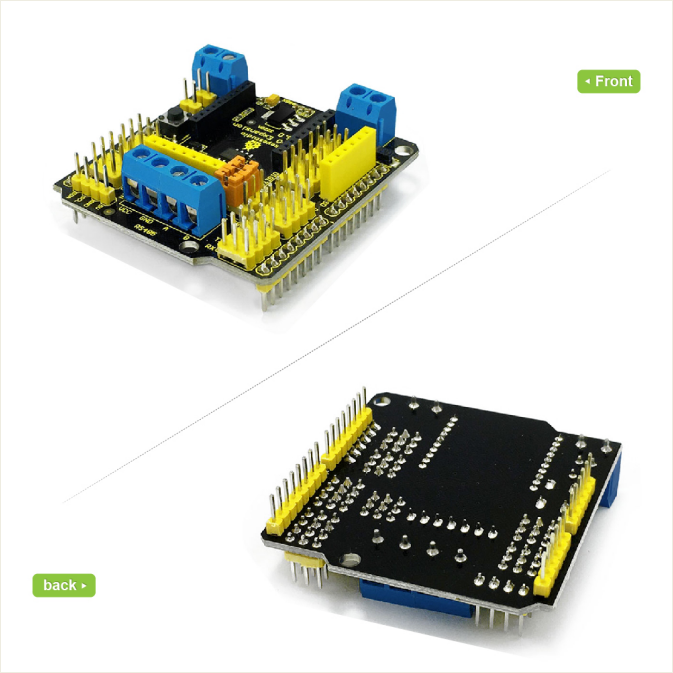 Compatible with UNO R3 control board. Comes with 14 digital input/output pins. Comes with an RS485 interface. 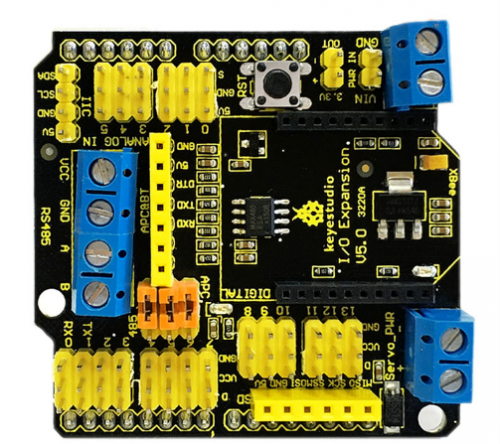 Can connect three jumper caps (APC and 485) to switch the XBEE Bluetooth communication or RS485 communication. Stack the shield onto the UNO R3 board to build the circuit experiments.